Obituary for William D. Mayer, Sr. | Milkins Giles Funeral Home Inc.
William D. “Bill” Mayer, Sr., 81, of Maidencreek Twp., passed away suddenly, Wednesday, March 27th in Penn State Health, St. Joseph Hospital. Bill was the husband of Jane E. (Geesey) Mayer. Bill and Jane would be married for twenty six loving years on April 9th. Bill was predeceased by his first wife Gladys Elsie (Oswald) Mayer who passed away November 17, 1981. Born in Reading, he was the son of the late Howard William and Mary Rebecca (Dries) Mayer. Bill was a member of Becker’s St. Peters Lutheran Church in Molltown. Bill was employed in various departments, for thirty five years, for Carpenter Technology. He also was a truck driver for Walter Heffner Trucking. 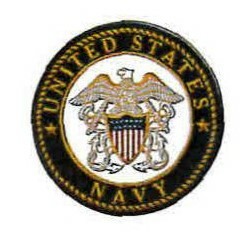 Bill honorably served in the Navy during the Vietnam War. He was proud of his career in the Navy and served on CVA 31, USS Bon Homme Richard on the crash rescue team. He enjoyed traveling to many Navy reunions. Bill was a huge collector of model railroading and loved to travel throughout the country on Amtrak. Surviving is a son, William D. Mayer, Jr. and wife Cynthia L. Mayer of Auburn. There are three grandchildren, Crystal Brown and husband Kris, Jennifer Hebelka and husband Rich, and Melissa Miller. Also, five great grandchildren, Dylan Brown, Tyler and Shelby Moyer, Destiny Hebelka, and Benjamin Miller. There are two nieces, Karen Seyler and Lisa Klansek. Bill is predeceased by three siblings, Richard Mayer, Anna Yoder, and Margaret Mayer. A funeral service will be held on Monday, April 1st at 7:00 pm in the Milkins Giles Funeral Home, Inc., 4914 Kutztown Rd., Temple. A viewing will be held prior the service on Monday from 5:00 pm until 7:00 pm in the funeral home. In lieu of flowers, memorial contributions may be made to Keystone Military Families, 331 Main St., Shoemakersville, PA 19555.